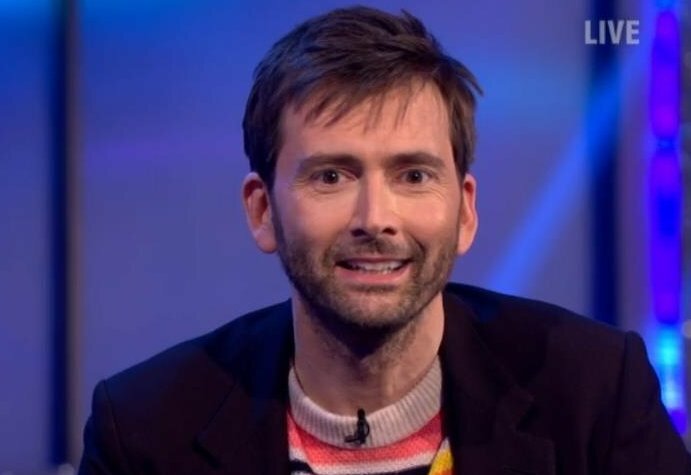 David Tennant was the guest announcer on Saturday Night Takeaway on ITV on Saturday 12th March 2016. This was episode four of series 13. Saturday Night Takeaway is hosted by Ant and Dec and is described as 'a British television variety show presented and executively produced by Ant and Dec.' It is broadcast live from The London Studios on the South Bank. The show was first broadcast on 8 June 2002 on ITV. Since its launch the show was unbeaten for four series in its timeslot until it was scheduled against Doctor Who on BBC One in March 2005. On 10 September 2005 ITV aired a programme listing the best 50 shows in ITV's 50 years being on air. Ant and Dec's Saturday Night Takeaway came second, being beaten by Coronation Street. Saturday Night Takeaway won the BAFTA for Entertainment Programme and Ant and Dec won Entertainment Performance for their role in the show in both 2014 and 2015. As well as David Tennant the guests on the show included ex-Spice Girl Mel B and Jennifer Lawrence. Craig David was the star of the End Of The Show. Saturday Night Takeaway was on ITV from 7pm to 8.30pm and repeated on ITV + 1 from 8pm to 9.30pm.